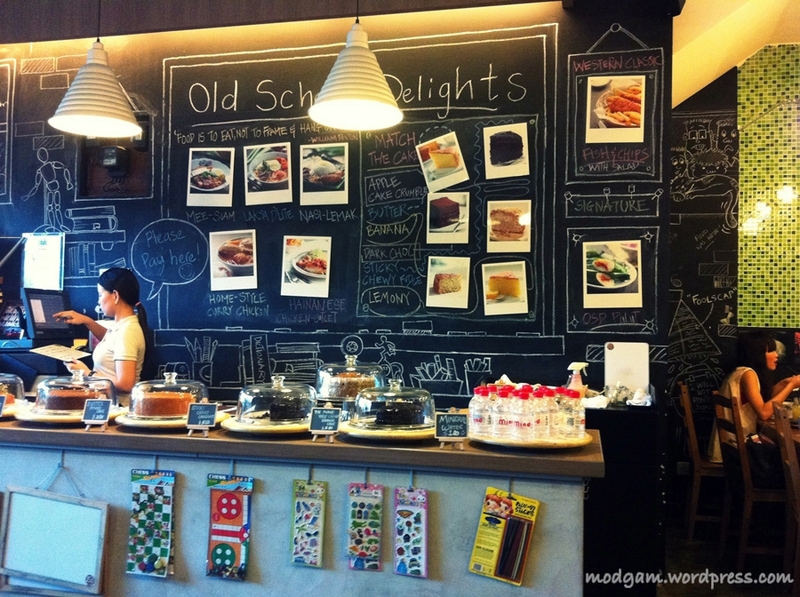 Forgotten to blog about this retro classroom like cafe and so here it is. 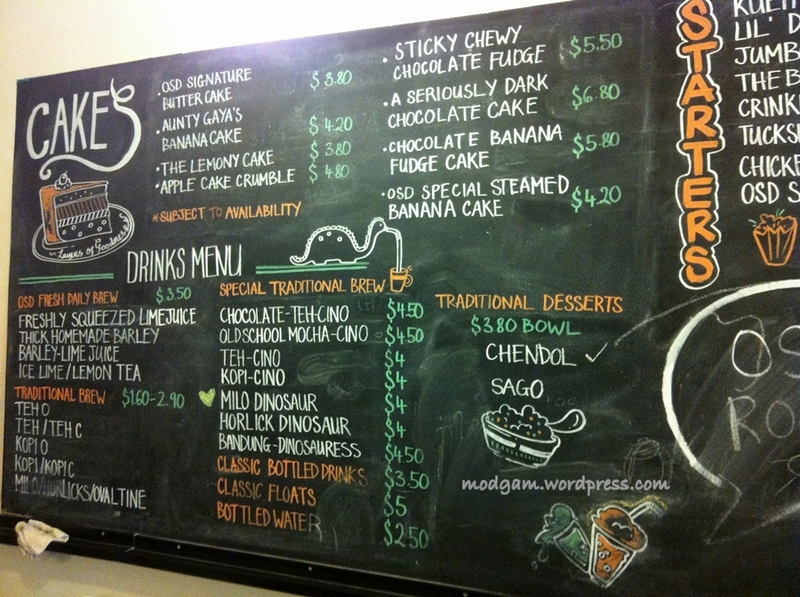 I walked past this cafe a few times but have never been tempted to try till Babe suggested it. 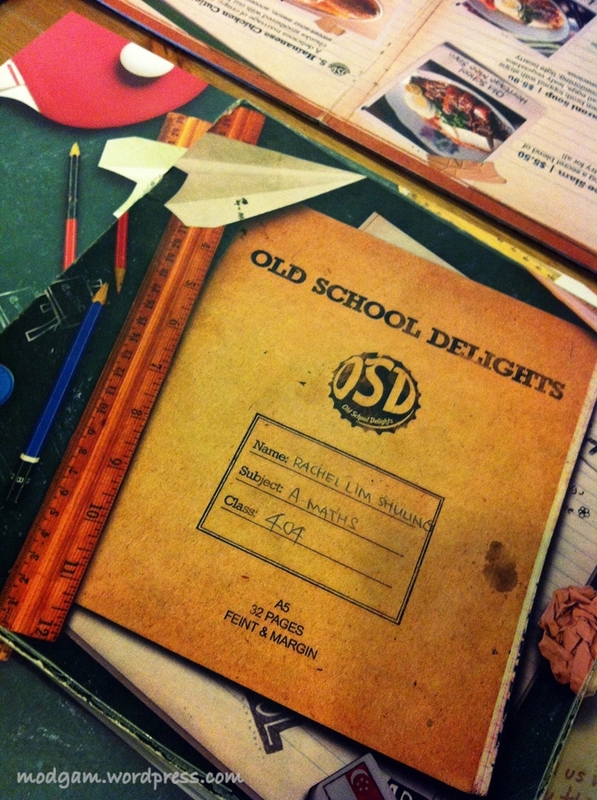 Old School Delights (OSD) is all about bringing home-styled local favorites back into our memories of yesteryears. 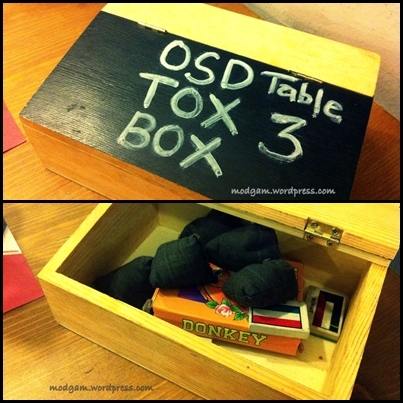 It feels like we went back to our childhood years into a retro classroom, chalkboards, childhood games like ‘five stones’, ‘happy family’, ‘donkey’, ‘eraser fight’ and more… Definitely a good place to chill with your family and friends. 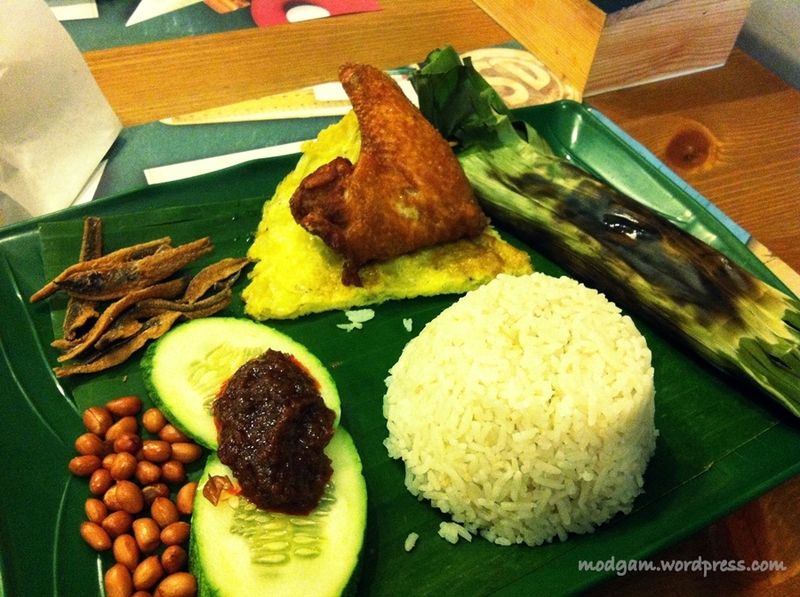 Nasi Lemak – chicken wing very crispy, big piece of egg and otah. I didn’t expect it to be so tasty. 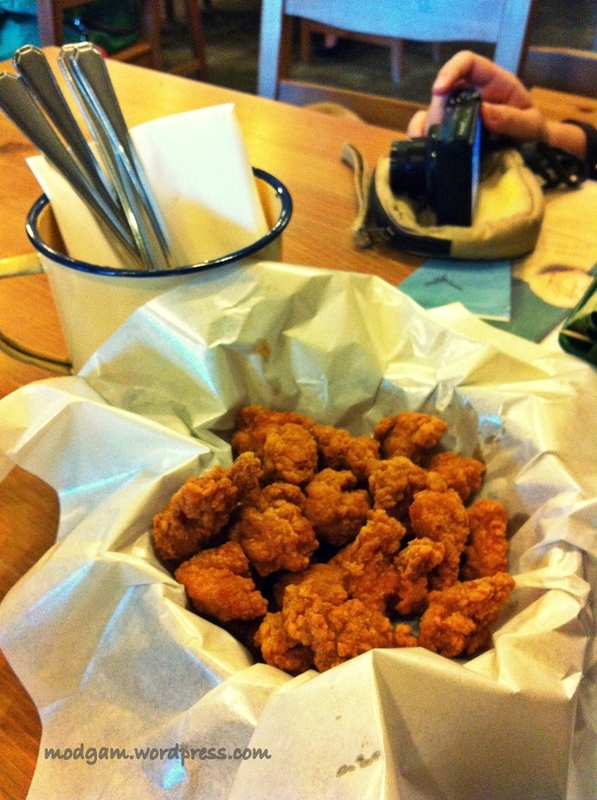 Chicken Pops – taste just like KFC popcorn chicken. 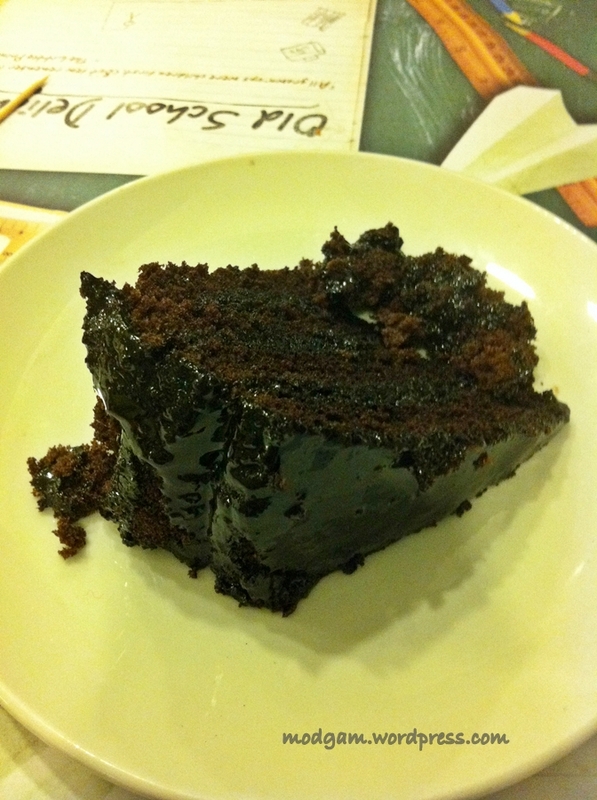 Fudgey chocolate cake – soft and melts in your mouth! My babe and I had a good time catching up. Yes, that was me before my haircut. You have such fun places over there! heheee, its not too bad Micha. 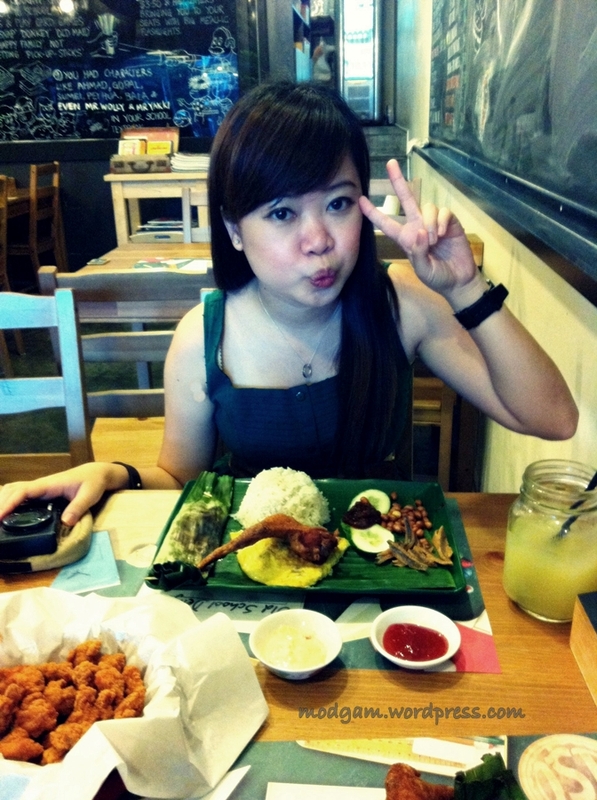 Can be boring too but i love exploring foodie places with friends. Where are you from? I’m in Pennsylvania, USA. We just seem to have a lot of chain restaurants and not too many unique spots for food – unless you have the big bucks to spend I guess! Have a good weekend! 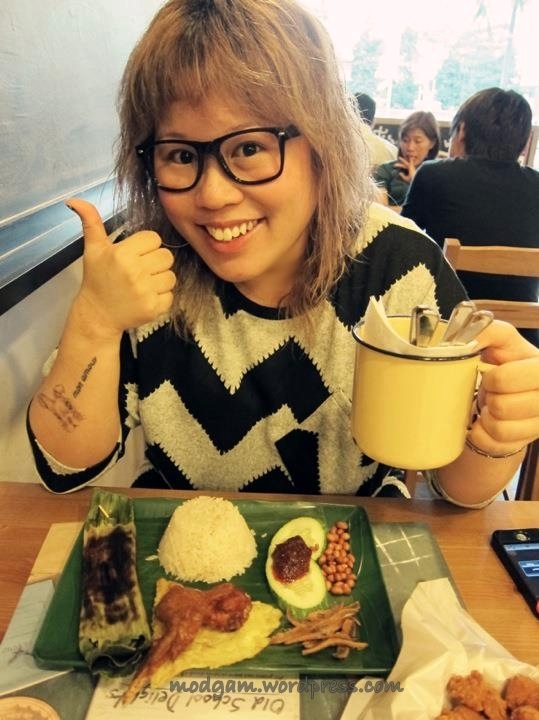 I see… we do have quite a bit of unique cafes here… i’ll continue to share and who knows, one day you might pop over Singapore and i’ll take you eating! 😀 have a great weekend too Micha! Wow! What a wonderful place! Love the vintage “old school” vibe! So cool 🙂 Will have to visit. Oh wow, I can’t imagine going back to high school willingly lol but that place is cute! Hahahaaa i am most willing to squeeze into my high sch uniforms just for this! !